Best Amino Acid Supplements of 2019 - Best BCAA Exposed! If you’re looking to improve your performance in the gym, an amino acid supplement may be just what you need. But what are amino acids? And exactly how can they improve athletic performance? Read on for the answers to these questions and more. Amino acids are known as the “building blocks of protein”. Your body breaks down the protein you consumer in food into amino acids. Then, it uses those amino acids to build new proteins. These proteins are essential for the proper function of the body, including its internal organs and muscles. There are three groups of amino acids, essential, non-essential, and conditional. 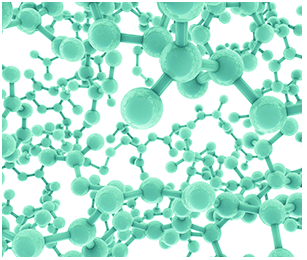 Essential Amino Acids are so named because they are not created by the body. As such, they need to be consumed either in the form of food or a supplement. • Isoleucine helps to increase endurance and repair muscle tissue. This means it can help you work out harder (e.g. by performing more reps) and recover more quickly afterward. • Leucine is generally regarded as the most effective of the BCAAs. This is because the body breaks leucine down into glucose more quickly than the other BCAAs. This glucose provides the body with energy and helps prevent the body from breaking down muscle for energy instead. • Valine helps prevent the breakdown of muscle that occurs during strenuous workous. It does this by providing more glucose to the muscles. This, in turn, produces more energy. It resembles leucine in this way, though the body breaks valine down more slowly. • Histidine is used by the body to manufacture blood cells and to protect and repair tissue. It is essential for nervous system function and can help with muscle growth and fat loss. • Methionine is important in the production of cartilage in joints. It also strengthens the hair and nails and can help treat hair loss. • Lysine helps the body produce collagen and absorb calcium. It also helps with the treatment of cold sores and can help with diabetes and osteoporosis. • Phenylalanine is used in the production of dopamine, norepinephrine, and epinephrine. As such, it can be helpful for the treatment of depression. • Threonine helps with immune system function and the health of the body’s connective tissue and muscles. It also helps to maintain the correct balance of protein in the body. • Tryptophan is known to help improve the quality of sleep. It also helps to improve mood quality and can be used to reduce headaches and maintain a healthy weight. 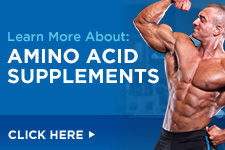 For more information about essential amino acids, refer to this article on the subject. 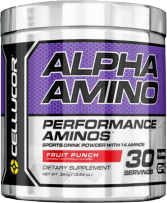 For our purposes here, we will focus on the essential amino acids, particularly BCAAs. How Can Amino Acids Help Improve Performance in the Gym? 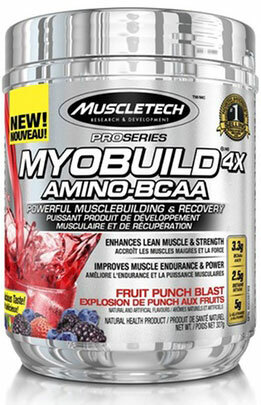 As mentioned above, BCAAs are used by the body as fuel during strenuous workouts. 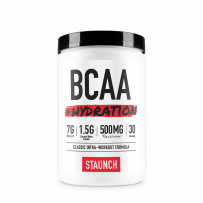 Taking BCAAs can enable you to continue working out for a longer period of time. BCAAs also help keep the body from breaking down your muscles to use as fuel instead. This is why taking BCAAs before a workout is so important. The more strenuous the workout, the more important it is to get enough BCAAs. Studies have also shown that amino acid supplementation may be helpful in mitigating delayed-onset muscle soreness (DOMS). This is the condition that every lifter has felt at some point. Especially those who are starting to lift for the first time or who have extended time off from the gym. DOMS can also occur after particularly-strenuous workouts or a new workout regimen. The beneficial effect of amino acids on DOMS helps you work out more often, as it’s harder to lift when you’re sore. BCAAs an have a beneficial effect for those looking to increase mass and strength. Muscle is made from protein, and protein is made from amino acids. So, the more amino acids you take in, the easier it is to add mass. Furthermore, BCAAs-leucine in particular-have been shown to kickstart muscle growth by triggering the muscle protein synthesis process. Studies have shown that lifting novices and veterans alike stand to benefit from BCAAs when training to build strength and mass. A 2009 study showed that experienced lifters who took a BCAA supplement for eight weeks added about twice as much mass and strength as those who took a protein shake instead. Likewise, a 2011 study showed that inexperienced lifters gained 40.8% more strength over a 12-week resistance training program. By contrast, the lifters who were taking a placebo only gained 31.0% over the same period. Science, people. It’s good stuff. Not only are BCAAs effective for gaining muscle mass, they also help to burn body fat. The same study from 2009 also found that the lifters who took a BCAA supplement lost more fat than those who didn’t. Another study showed that isoleucine is particularly beneficial for burning fat. BCAAs are particularly useful for those who want to lose weight without also losing muscle. Accomplishing this goal can be tricky under normal circumstances because losing weight requires you to burn more calories than you consume. The catch is that the protein you need for your muscles to recover and grow is typically found in the food that you’re cutting back on. If your body isn’t getting enough energy from food, it may resort to breaking down your existing muscle for energy. This is where BCAAs come in. They can serve as a substitute for protein while adding little to no calories. Where Can Essential Amino Acids Be Found? 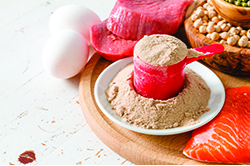 There are a number of food sources that contain all nine essential amino acids in the protein they provide. The most common of these includes all kinds of meat and fish, as well as eggs ad dairy products like milk and yogurt. There are also some vegetarian options, such as quinoa and buckwheat. Aside from the complete sources, there are incomplete sources of protein that provide some but not all of the essential amino acids. These sources can be combined with other incomplete sources to provide all of the essential amino acids. Rice and beans are the classic combination of sources that are incomplete on their own but complete when eaten together. Finally, amino acids can be consumed in the form of supplements. Some contain all of the essential amino acids, while others focus on the BCAAs that are most beneficial for athletic performance. What is the Proper Dosage of Amino Acids Per Day? With BCAA supplements, it is important to keep the ratio of the three BCAAs in mind. Since leucine is the most effective ofthe three, it is recommended to use a ratio of 2:1:1. This means that the supplement should have two grams of leucine for each 1 gram of isoleucine and 1 gram of valine. Some supplements have ratios as high as 10:1:1, but there is no evidence that this is more effective. It is also recommended to take at least 3 grams of leucine each day. At a ratio of 2:1:1, that works out to 6 grams of BCAAs each day to get the optimal amount of each. It is recommended to take BCAAs both before your workout (30 minutes prior is optimal) and immediately afterward. BCAAs can be added to your protein shakes. At 5-10 grams for each serving, this should be enough BCAAs for your daily needs. Those looking to add mass can consider additional servings mid-workout or throughout the day. Our top 10 list of amino acids supplements is organized to reflect what you most value in your supplements. First and foremost is quality. All of our Top Ten supplements meet high standards of quality and come from brands with a proven record in excellence and purity. Another important factor in deciding the Top Ten was cost. You don’t have to pay through the nose to get a high quality amino acid supplement. In addition, all the companies represented on our list have stellar records with customer service and prompt shipping. This ensures that your supplement experience is enjoyable from the first click to your final dose. Genetics Home Reference What are proteins and what do they do? EHPLabs.com HOW DO BCAAS PRESERVE MUSCLE AND ASSIST WITH FAT LOSS? Focused on providing 6 grams of L-Leucine, L-Isoleucine, and L-Valine in every serving, Nutricost BCAA is formulated with an ideal 2:1:1 ratio. These three branched-chain amino acids are extremely versatile as they help to provide muscles with energy and lengthen endurance as well as increase strength. 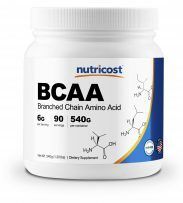 At 23 cents per serving, Nutricost BCAA is the perfect amino acid supplement for your regime as it is free of calories, extremely easy to mix, and has delicious flavors to choose from. Add Nutricost BCAA to for the muscle support your body needs now!